When it comes to maintaining a healthy and balanced diet, it’s totally normal to fall into a regular routine with your meals — which can often translate to consuming the exact same thing every day. If you find something that you love and crave, why not eat it every day, right? Just ask Kylie Jenner, who despite her unlimited finances and access to the top personal chefs the world has to offer, eats the same, self-made breakfast every morning. In a recent Instagram Story, the beauty mogul shared her go-to breakfast with her 126.1 million followers, and it’s a lot more normal than you would ever expect for a 21-year-old multi-millionaire. 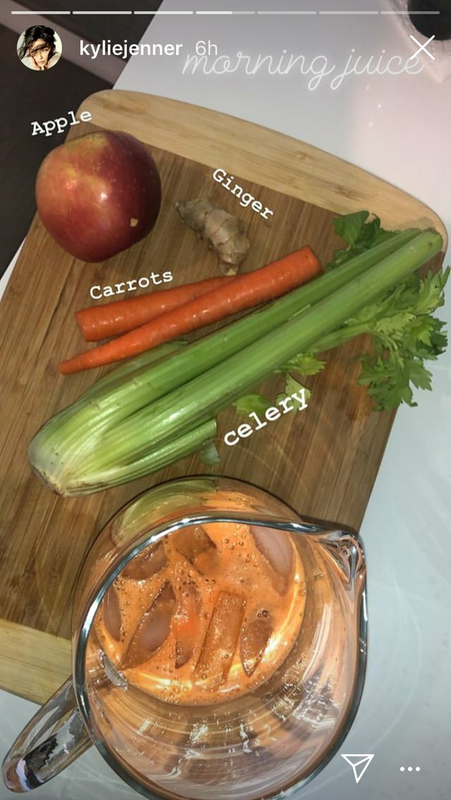 Jenner’s first phase of morning fuel-up comes in the form of a vegetable juice, containing celery, carrots, an apple and ginger. Unless you live under a rock, you have already noticed that celery juice is the green juice of the moment — and rightfully so. Just a one-cup serving of the fibrous veggies contains just 65 calories, has less than 0.7 grams of fat and almost 2.8 grams of protein. It also boasts plenty of potassium, which aids in building muscles and keeps your heart healthy, bone-building calcium, wound-healing vitamin K and folate. It’s possible Jenner got the celery juice memo from her older sister, Kim Kardashian, who started drinking the beverage to help out with her psoriasis. Jenner’s next course of the morning? Eggs. The mother-of-one gets out a frying pan and scrambles up the protein-packed animal byproduct, which she makes sure to cook thoroughly. “Anyone else like their eggs well done?” she asked in the caption. While many people do enjoy runny eggs, the USDA does recommend cooking unpasteurized eggs until firm throughout to be considered safe from bacterial infections such as salmonella. Jenner clearly isn’t joining in on the meat-free diet trend, pairing her eggs with a bunch of bacon slices, smashed avocado and a piece of toast. Wholesome and hearty, the mother-of-one’s morning meal is packed with calcium, carb, lots of vitamins and minerals as well as fats — both good (from the avocado) and “bad.” While bacon is truly delicious, two slices of the salty meat have 2.1 grams saturated fat, as well as 18 mg of cholesterol, both of which have been linked to heart disease. When Jenner doesn’t have time to cook up her own morning feast, she has been known to have one delivered from the popular meal delivery service app Postmates. According to the service, she often orders around 10 a.m. and her most-ordered items include matcha lattes and bagels with cream cheese. Like most of us, the star eats healthier when she prepares her own food! Jenner isn’t the only member of her famous family to eat the same meal religiously. Kim Kardashian was so obsessed with a certain Chinese chicken salad from Calabasas eatery Health Nut, that she ate it every day. The 230-calorie concoction (450 with dressing) containing shredded romaine and iceberg lettuces, shredded chicken, chow mein noodles, pickled ginger, carrots and a sesame dressing, was her go-to meal for over a year. So how does eating the same thing every day impact your overall health? As long as the item is healthy, it may actually help you lose weight, according to a study published in the American Journal of Clinical Nutrition. Researchers found that when you eat the same food habitually, it may help you eat less overall. “So it can be fine to eat the same thing for one of your meals daily, as long as you’re getting a wide variety of nutrient-rich foods in your other meals,” nutritionist Jackie Newgent, RDN, CDN, previously told LIVESTRONG.com. In case you are curious what other dietary secrets the youngest Kar-Jenner has under her Gucci belt, her sister, Khloe, once revealed that she is very mindful about what she puts into her body. While she does indulge, she is "super aware of what she puts in her body when it comes to fresh and organic foods,” Khloe explained in a post on her app. “It's all about that moderation, boo!" Jenner also stays away from most dairy products. "I didn't realize I was lactose intolerant. I just became lactose intolerant, like, this year," she explained back in 2015. Once she reconfigured her diet, Kylie told E! News that slimming down was a breeze. While she does engage in the occasional hamburger from In-N-Out or chicken nuggets from McDonald’s, Jenner isn't a big drinker. In fact, as of August 2017 she had never consumed one drop of alcohol. You know, I've never had a drink before," she admitted in an interview with Buzzfeed. While that's likely changed, considering she turned 21 over the summer and has ordered booze from Postmates, the Kardashian-Jenner sisters generally stay away from calorie-filled alcoholic beverages. 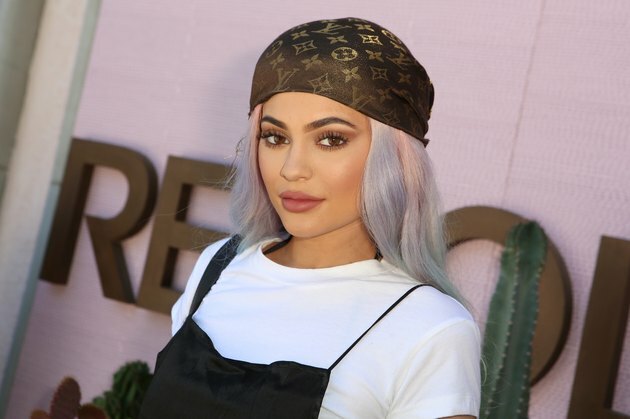 While Kylie Jenner's lifestyle may be a whole lot fancier than yours or mine, when it comes to her breakfast — and the fact that she eats the same one every day — she may be just like us, after all.